Fountain Hills Celebrates St. Patricks with a Green Fountain and All Things Irish! The crew at Sonoran Lifestyle Real Estate invites you to join them on the Avenue of the Fountains to start your Saint Patrick’s Day off right! The Town’s Saint Patrick’s Day celebration kicks off at 10 a.m., and the leprechauns at Sonoran Lifestyle are serving steaming Irish Coffee and a bite of pastry guaranteed to give a glow to the “Wearin o’ the Green.” The Fountain will magically turn green at noon, with a piper and all things Irish when the faithful gather to experience this amazing site. 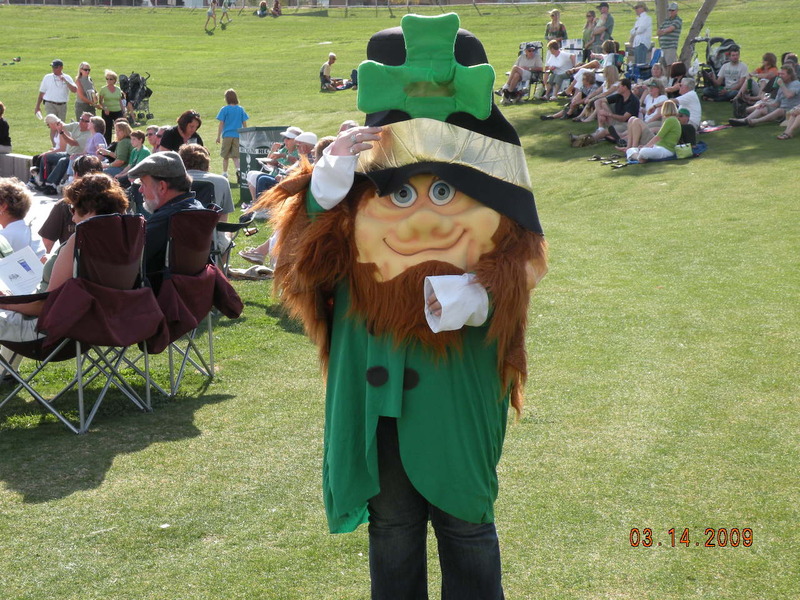 In addition to the green beer and corned beef served in the park by the VFW, Fountain Hills’ successful Art on the Avenue and Farmer’s Market are the latest addition to the St Patrick’s Day celebration. The weekend version of this popular event will combine both the fine art and food items on the East median of the Avenue of the Fountains. The market will be from 10 a.m. to 4 p.m. on the east median of the Avenue of the Fountains, and will provide an opportunity for visitors and residents to get a flavor of the popular Thursday event. Food items will include seasonal favorites like Irish Soda Bread, a variety of “green” cut flowers and Festive versions of fudge, cookies, “Green” whoopee pies, scones, biscotti, and other snacks and treats. Other vendors will offer fresh tamales, salsas, jams, jellies, coffee, Italian sodas and a variety of other market items like pickles, organic honey, and fresh-pressed avocado oil. In addition to the tasty treats, kids of all ages can enjoy the face-painting booth, while others stroll the Avenue and experience the work of dozens of area artists. Hand-painted casual wear and one of a kind jewelry is the perfect spruce-up for a spring wardrobe. Contemporary southwestern-themed items for home and patio are new additions to the mix of artists on the Avenue. For inquiries about the Farmers Market and Art on the Avenue, contact Charaz@cox.net. For information about Sonoran Lifestyle Real Estate and properties in Fountain Hills and the surrounding area, go to www.SonoranLifestyle.com or call them at 480-816-5557. This entry was posted in Area Events, Dining, Libations & All Things Foodie and tagged Green Fountain, St. Patricks Day. Bookmark the permalink.